Yes, I'm still alive.. for those who followed my IG maybe already knew that the baby is already here.. So, I need to adjust my priority for the baby first. And currently I'm still adjusting my lifestyle hahaha.. Meanwhile, this is an old post that I wrote during my pregnancy.. Enjoy my short review about Innisfree No-sebum Mineral Powder. This product is really famous around beauty bloggers. Actually this is not a new product, but I only tried it lately from Althea Box. Innisfree No-Sebum Mineral Powder is a versatile powder that can be used in many ways and the price is quite affordable. Packaging: Stored in a small plastic container with pastel green color *mint color*. It comes with a small puff and a separator in between the powder and the puff. To open the packaging, you need to twist the cap. 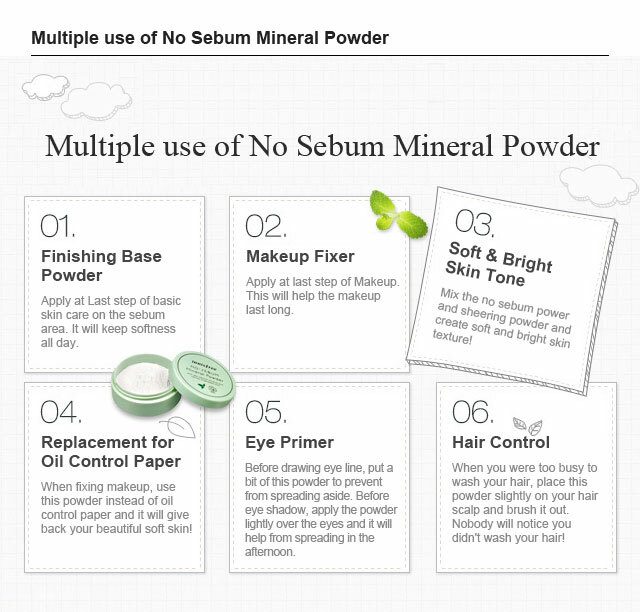 So far, I've already tried number 1-4 and I love the result of this powder. It doesn't makes my skin dry, It helps to control my excess sebum, it also doesn't cause new acne on my face. The size is small so it will fit perfectly inside my make up pouch. Thanks for reading, will be back again very soon! Hello. did you use this during your pregnancy? im 23 weeks and my sister in law gave one to me. is this safe for pregnancy? thanks!